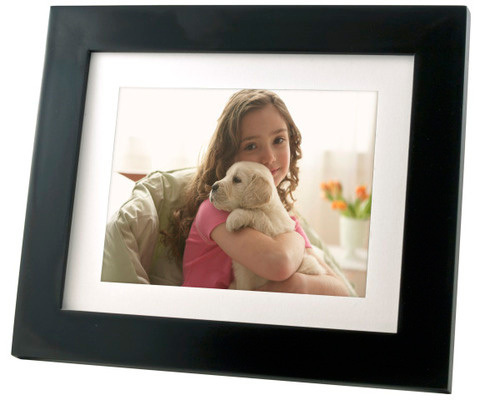 DPF (Digital Photo Frame) is getting good traction among consumer market with more and more feature sets being integrated into it. You may have heard or seen WiFi connected, VOIP (Voice over Internet Protocol) convergence with media oriented Digital Photo Frame but 3G capable one could be something new and may able to attract certain users especially those that don’t own a home broadband service but intend to stay connected with convenience way of photos sharing. Good news now, Pandigital has confirmed an official release of its next generation DPF, named as PAN8008DW that will be enhanced with 3G capability and is scheduled to be released by middle of this month. PAN8008DW will be equipped with a 8-inch backlit LED with standard 800 x 600 resolution. Internally, it has a built in 1GB memory that can easily be used to store thousands of images thanks to its memory optimization technology. And now with seamless AT&T cellular network support, users will able to access those new picture images emailed from friends or relatives directly without complicated files transfer and copy actions. Similar to other DPFs in the market, all these images can be rotated with easy customization on its color and brightness and users can view/listen all the compatible AVI or MP3 media playbacks just like what can be done by portable media player but at a larger screen size and higher resolution. To expand its memory space and ease up file transfer, there is also a USB port and 6-in-1 media card slot being designed into the sleek and stylish form factor suitable for home and office environment. At a suggested retail price of $180, consumers will be able to enjoy 300 photos sending over 3G network and once the quota is reached, they still can top up the service with 100 additional photos at $9.99, 400 photos at $29.99 or 700 photos at $49.99 depending on users’ needs.